Definition at line 126 of file PseudoSourceValue.h. 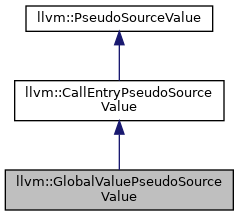 Definition at line 98 of file PseudoSourceValue.cpp. Definition at line 133 of file PseudoSourceValue.h. Definition at line 137 of file PseudoSourceValue.h.